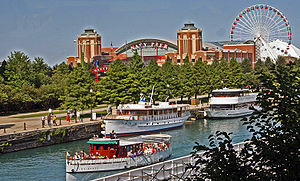 Attend the 19th annual SOFA CHICAGO 2012, the critically acclaimed International Sculpture Objects & Functional Art Fair in Chicago at historic Navy Pier at 600 E. Grand Avenue. SOFA CHICAGO is the largest and longest continually running art fair in Chicago. CHICAGO – Urban Expositions presents the 20th annual SOFA CHICAGO, the world’s foremost fair devoted to Sculpture Objects Functional Art + Design, at Navy Pier’s Festival Hall from Friday, November 1 – Sunday, November 3. 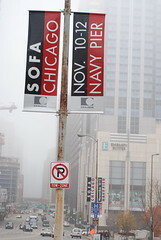 The three-day event kicks off with an Opening Night Preview on Thursday, October 31, from 5–9 pm, celebrating SOFA CHICAGO’s landmark 20 years with a first look at art and design presented by nearly 70 galleries from across the U.S. and around the world. My weekend will be spent at SOFA and not on the sofa, woo!